I've had food at a handful of Kaiyendhi Bhavans across the city and not even once I was let down by the taste. I'm always amazed by the simple food and the humble people who cook it. Out of all the categories dining, I always find the service at Kaiyendhi Bhavans very caring and attentive. One fine day, I happened to see a drool worthy picture of Idiyappam and fish curry by a fellow Instagram-er. Enquired about the location of the Kaiyendhi Bhavan and decided to check them out. Yesterday myself and kiddo were returning from his classes and I was looking for a simple and pocket friendly dinner option. Was driving by the park near RTO and all of a sudden remembered about this place. Location : When you take the left at RTO signal (while coming towards ECR), the first left, Bhagat Singh Road, the road before the park is where you can find this Kaiyendhi Bhavan. 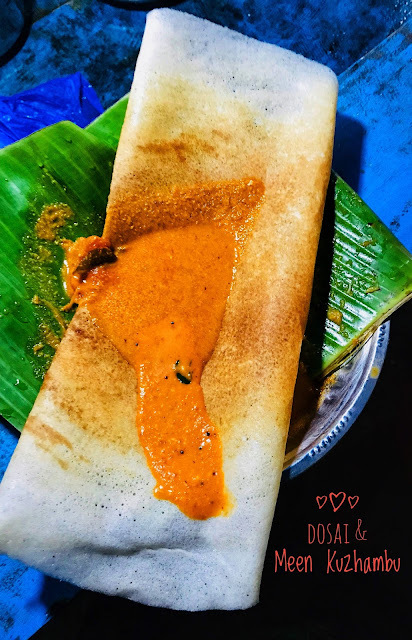 Run by a sweet couple, this place serves idiyappam, idli, dosai varieties, chappati and eggs along with fish gravy/chicken gravy/ sambhar and two types of chutney. I asked for a plate of idiyappam (2 pcs) and idli (4 pcs). While serving the fish curry, she informed me that they have only podi meen (small fishes) and whether I would like to have them. I opted only for the curry. 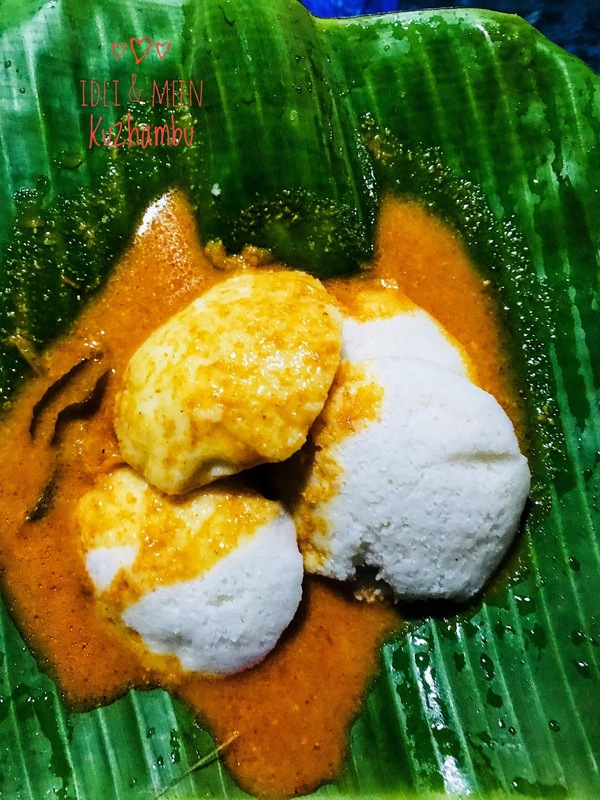 Super spicy, not so tangy, coconut based fish curry was super delicious along with the soft idlis and idiyappams. The gravy was like summa sullunu erudhu type. Perfect for the cold/rainy climate. Not the tangy thick ones we get here. That anna told me that it was Madurai style preparation. The chicken gravy was also very good with a strong masala flavour to it. Tried the Dosai too. Asked them to make a crispy one and they obliged. Loved it with the fish curry and the tomato chutney. 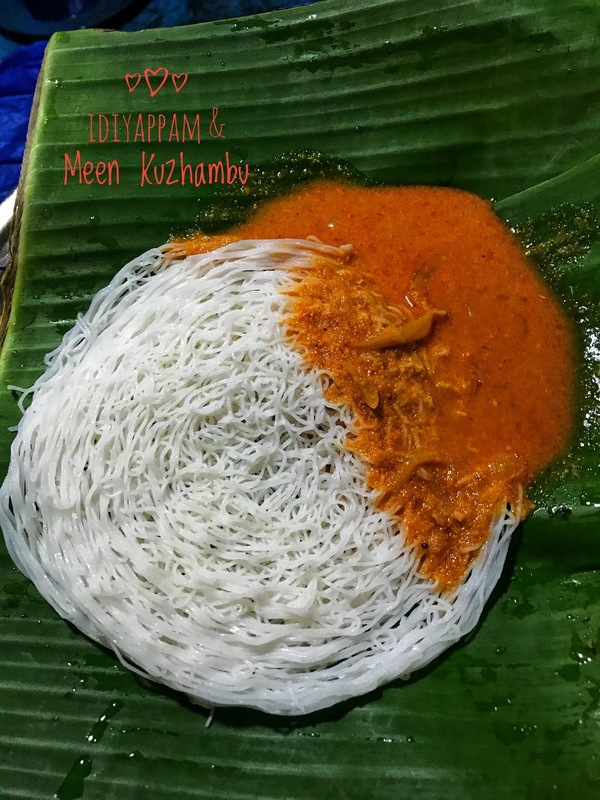 Paid 78 bucks for 2.5 plates of Idiyappam (Rs. 15 per plate / 8 per piece), 1 plate of idli (20 per plate) and 1 dosai (20 per dosai). The most satisfying dinner done within 100 bucks. Loved the couple's hospitality. They were very attentive and caring. Like parthu parthu serve panradhu.